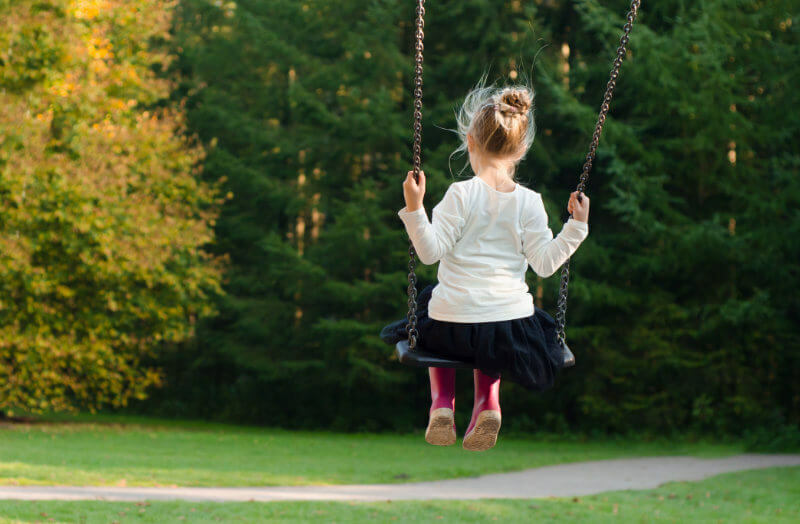 While the benefits of playing outside for children may seem obvious, according to several surveys, many children in the UK don’t have regular access to outdoor play time. Experts have long been stressing the importance of active outdoor time to both the mental and physical health of children growing up. If you are an adult you may agree with me that the lure of digital technologies is just one of the many reasons why outdoor time is shrinking. Of course, there are benefits to both outdoor and indoor activities, in the same way, modern technologies have many advantages. The challenge is to achieve a balance. 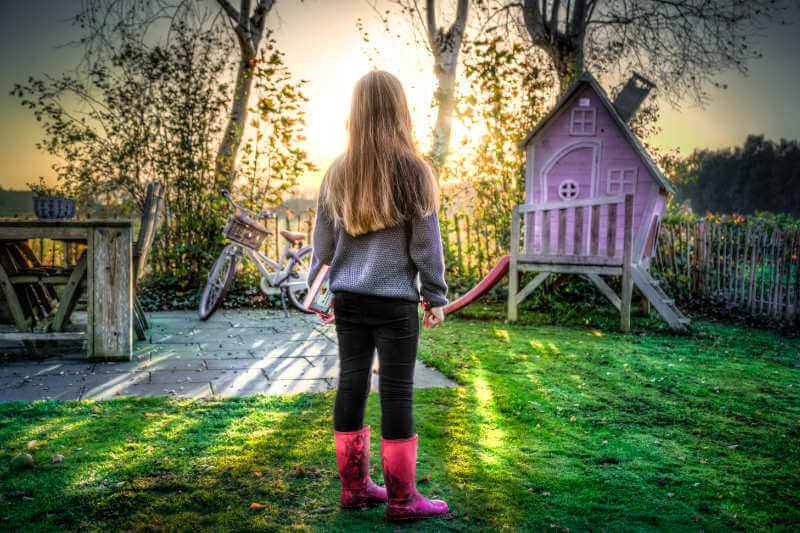 Yet, according to the National trust report, a vast majority of children in the UK have told researchers that “their happiness is dependent on having time with a stable family and plenty of things to do, especially outdoors, rather than on owning technology or branded clothes”. A family garden allows children to go through the rite of playing without the feeling that you are watching over them every second to ensure their safety. It allows them to develop problem-solving skills and creativity which leads to them becoming more confident and better socially adjusted. But how do you go about making the outdoors fun again? A study developed by National Geographic revealed most parents feel powerless when it comes to limit screen time despite 62% wishing their children would play outside more often. Something that would most certainly help would be creating an appealing space that would encourage them to limit screen time themselves. Is there room for permanent playing equipment such as a slide? If not, you might consider equipment that can be stored. Besides making sure the site conditions are ideal for the plants you have in mind, you may also need to consider their resilience towards your child’s favourite sports and games. A vibrant colour scheme is more likely to attract children’s attention and improve their experience. Any wildlife features such as ponds and birdfeeders will be a big success among curious kids that enjoy exploring a wide range of insects and animals. Although, you must give consideration to safety around any water features where young children are present. If you are a pet lover you may also consider designing an area just for your furry friends. Another factor that has a strong influence on making the outdoors appealing to children is gardening activities. 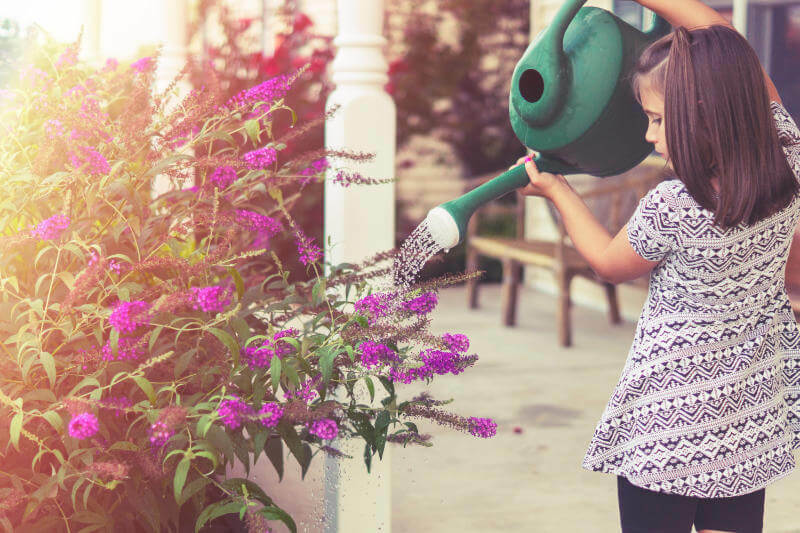 Gardening can be enjoyed by people of all ages but children, in particular, are set to gain special benefits from this activity while having fun. Some of the activities they are likely to be able to assist with are watering, digging, learning how to plant vegetables, fruits and flowers in the correct season, and weeding among others. Ornamental gardens and children don’t have to be incompatible. As I previously mentioned, the trick is to find plants that both can survive being hit by a football and that make your garden look beautiful. Children enjoy large, brightly coloured flowers and vegetables that grow quickly and you will be glad to know that there are plenty of low maintenance plants that fulfil these requirements. 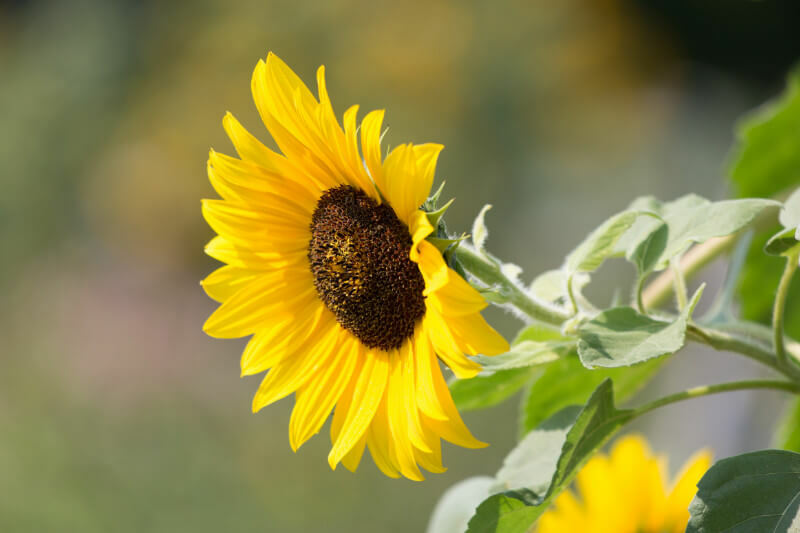 Our tip is to start with quick-sprouting seeds, such as sunflower to prevent impatience from the little ones who will be able to quickly see the results of their hard work. 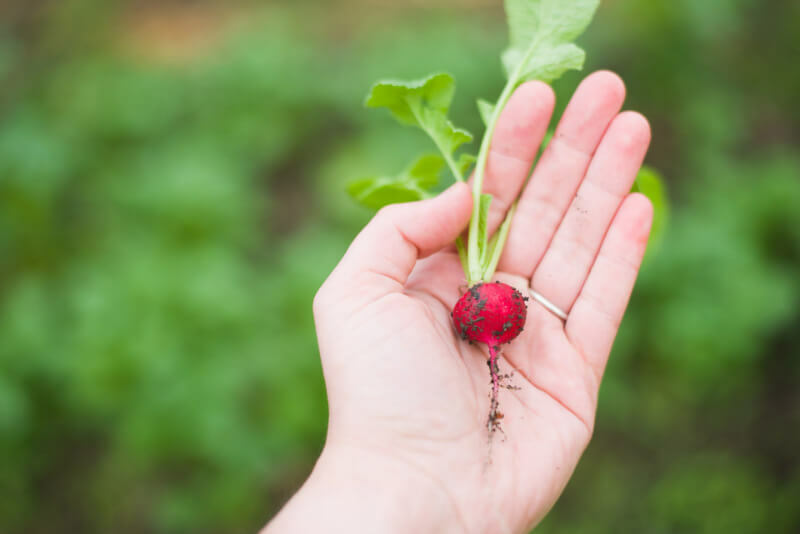 We also recommend radishes as a starter vegetable for kids because they grow problem-free, and their roots are ready for eating within a month of sowing. 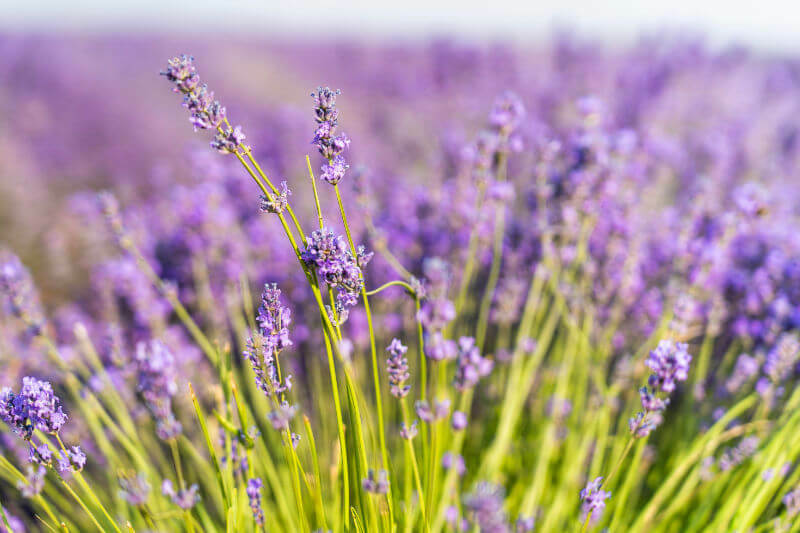 On the other hand, Lavender is a viable plant option due to its surprisingly tough branches. But don’t concern yourself too much with learning all the secrets of gardening and landscaping as our expert designers have a vast knowledge of a wide range of materials, plants and site conditions. Book a free consultation with Eden Landscapes and we will be able to offer you any suggestions or alternative ideas after visiting your property and hearing all about your vision of your ideal family garden.